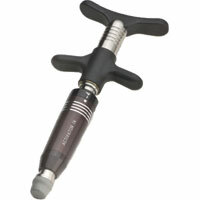 Activator chiropractic technique is the second most widely used chiropractic technique in the world and the number one used instrument based technique. With more than 40 years of empirical study and decades of clinical research to support it, the clinical effectiveness of Activator is well established. The Activator instrument is a hand held spring loaded tool that delivers a consistent low force, high speed chiropractic adjustment. Since it is many times faster than hand adjustments the body rarely tightens to resist, making chiropractor adjustments comfortable and effective. It is also helpful for adjusting elbows, wrists, knees and other joints of the body. Activator adjustments produce a stretch reflex on the spinal joints and muscles, much like tapping your knee and producing the knee reflex. In a sense an adjustment is like shutting your computer down and rebooting it. After the stretch reflex has occurred the circuit essentially reboots itself to a more correct neurological and movement pattern.